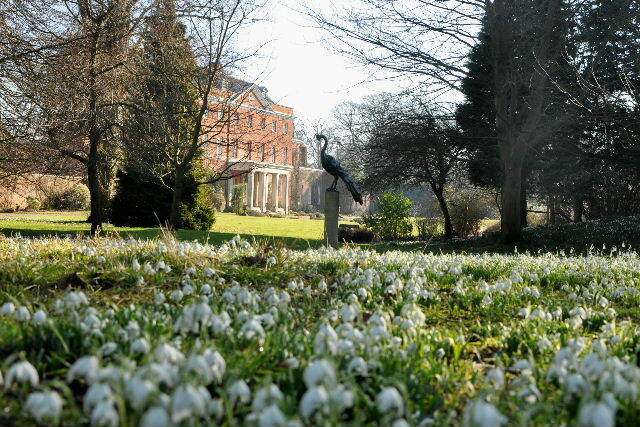 Raveningham Gardens opens for the snowdrop season from 1 February to 28 February. Please note the garden is closed on Saturdays. See drifts of snowdrops in the main garden from 11am to 4pm (dusk if earlier). Proceeds from Sundays 10 and 17 February go to Priscilla Bacon Lodge Hospice in Norwich. Raveningham Hall is the home of Sir Nicholas and Lady Bacon. It was Sir Nicholas’ mother, Priscilla Bacon, who added snowdrops to the garden. The 18th century Walled Kitchen Garden with its large glasshouses will be open and visitors will also be able to enjoy views across the new lake established at the turn of the Millennium and the contemporary sculpture in the gardens. The tearoom will be open serving soup, light refreshments, home made cakes and drinks. Admission: Garden entry is adult £5, concessions £4.50 and children under 16 free.